The Wang family, owners of a Chinese car parts supplier, made an $882 mln offer for headrest maker Grammer. A pledge to save jobs and the buyer’s size make a full takeover tricky. Yet shareholders wary of the increasingly messy governance probably won’t want to stick around. 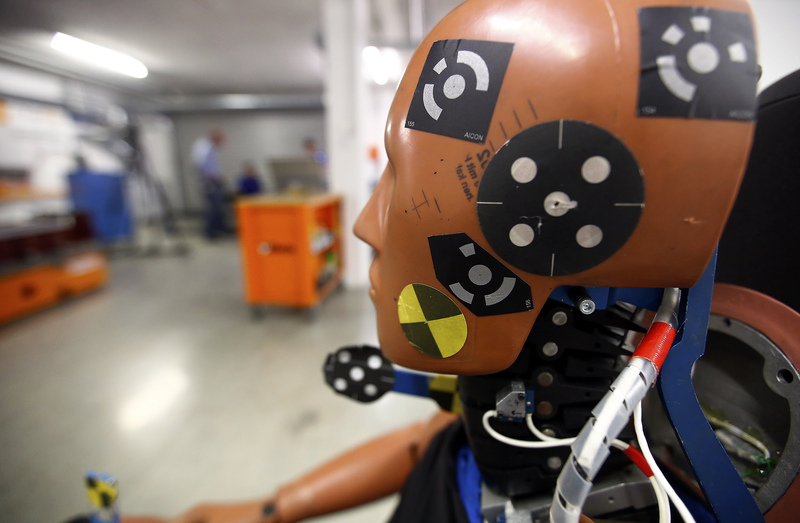 A dummy is prepared for a car crash-test at the laboratory of the German motor club ADAC in Landsberg December 5, 2013. REUTERS/Michael Dalder. A consortium led by China’s Wang family on June 25 offered 60 euros per share for German auto supplier Grammer. The Wangs, who control Ningbo Jifeng Auto Parts, already own 26 percent of the German company. The cash offer will be made through a special acquisition vehicle, controlled by the Wangs and funded with 480.5 million euros of equity and debt. Some 70 percent of that equity will come from so-called passive co-investors CRRC, Northeast Securities and Haitong Securities. The bidder has also secured up to 293 million euros of debt financing from Shanghai Pudong Development Bank. Bosnia’s Hastor family, which owns 18 percent of Grammer according to Thomson Reuters data, has criticised the offer as too low. Cascade International, one of two entities controlled by the Hastors, said on May 30 that it thinks a fair price for Grammer would be between 85 euros and 100 euros per share. Grammer shares were down 2.7 percent to 60.5 euros on June 25 at 1345 GMT.